Nov. 22, 2018, 2:15 p.m.
Sept. 29, 2017, 9:22 a.m. 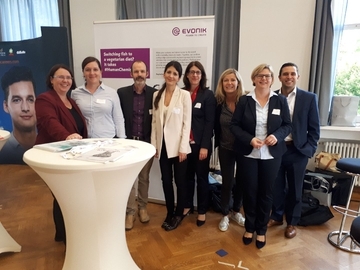 So much fun to be a part of the diverse team representing Evonik Nutrition and Care at the Karrierekonferenz by Goethe Universität and Frauen mit Format! We got to meet many great PhDs and Post Docs and the chance to discuss important topics like career development and diversity @Evonik! #HumanChemistry was on full display today!